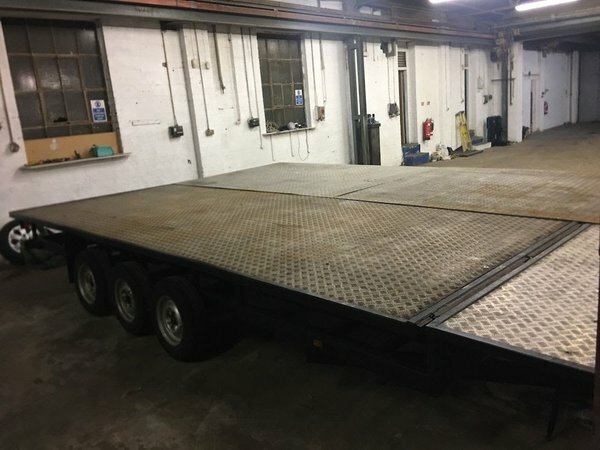 On offer here is a trailer stage, based around a triple-axle flatbed trailer with two additional deck sections. The completed size is fractionally over 6m by 4m. The deck sits around 80cm off the ground. It struck me as being a good solution for smaller events, like sports days, fetés, and gala days. I bought it a couple of years ago, and had been planning on refurbishing it. We got this work started with a thorough repainting, using Waxoyl underbody seal on all the metal framework. There are a few more tasks needing tackled before it is complete. 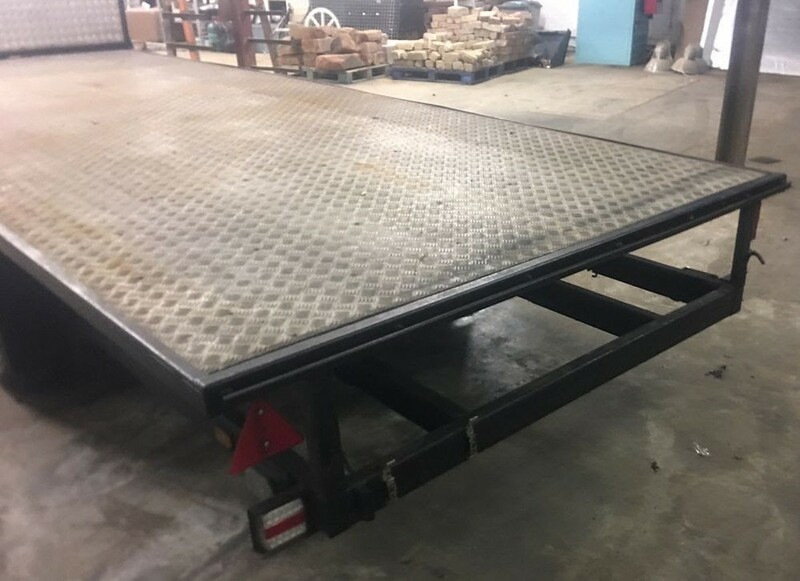 There needs to be some kind of jacks on the trailer body to level it. We had looked into welding on plates to attach windup jacks on the corners, this won’t be a big job. It would be best to have some method of joining the two front decks, and attaching them to the trailer body. This could be as simple as some bolts and wingnuts through. The front decks already have scaffold legs and jacks to support them, the attachment wouldn’t be load-bearing, just to keep the different sections tightly together. There also needs to be some steps. 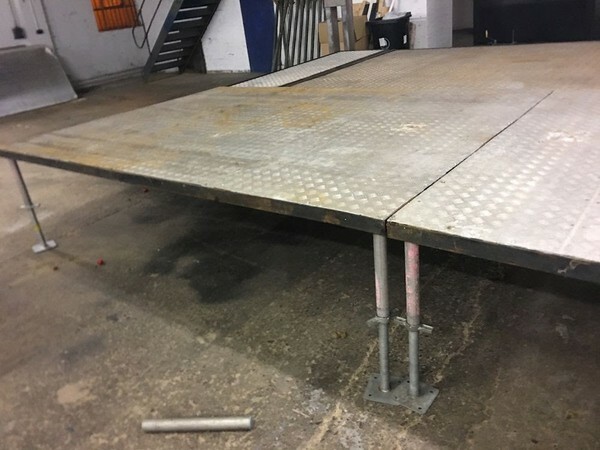 This could be as simple as knocking up a wooden set, or possibly attaching some adjustable stairs, I’d been eyeing up some of the models that Global Truss offer at quite reasonable prices. There isn’t a roof at present. We had planned on adding a pop-up gazebo as a simple option to provide basic cover. It would be easy enough to bolt the gazebo feet to the deck, and the the trailer body provides ample ballast. A 6x4m model will fit on perfectly. The trailer tows very nicely, you almost forget that it’s there. 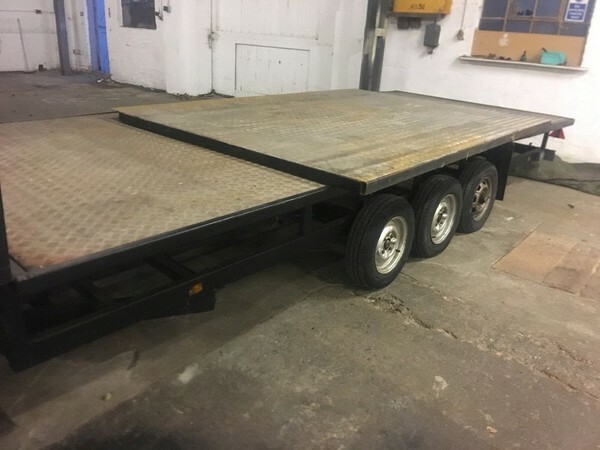 The triple axle means it doesn’t snake or wobble, and with the decks strapped down over the wheels, it’s a well distributed load with a low centre of gravity. 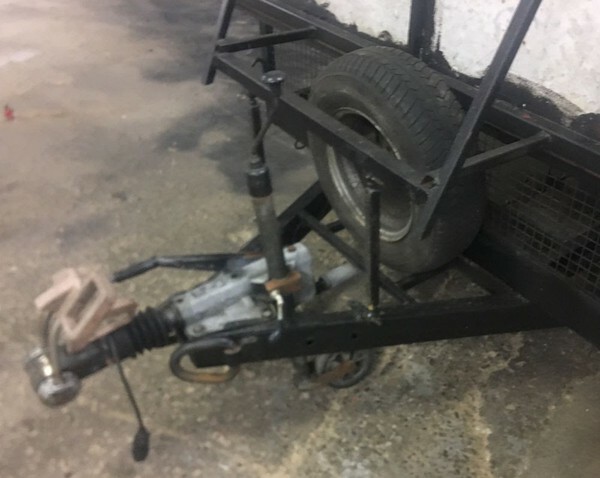 There are various hook points around the trailer body for attaching straps etc. so it’s easy to secure a load. We’ve actually used the trailer itself to transport other items on a couple of occasions and it’s been great. So this is definitely a bit of a project. I’d have liked to have been able to finish it off, but other work has distracted us, and the vacant warehouse that we’d been using to store and work on the trailer is going to have a new tenant in soon. The landlord has been very kind to us but I need to get the trailer out fairly soon. This has the potential to be a good money spinner. In my local market, I’d expect to be able to rent it out for around £300-350 per day, and I expect it could go for more in other areas. The labour costs are far lower compared to using modular deck, assembly would take less than half an hour and there’s nothing that isn’t an easy two-person lift. It’d be a good way of dipping a toe into mobile staging without shelling out too much money, with a decent rate of return available on a very modest outlay. 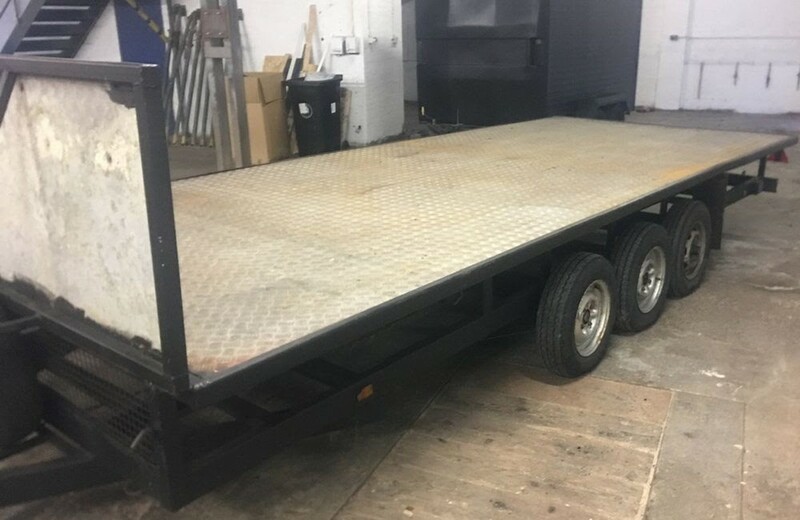 The trailer stage is located in Glasgow and would need towed away by a van or 4x4. We can be quite flexible with timings etc. for the collection, and will do everything we can to make the process as easy as possible.